Thank you for visiting us online. We hope you will join us in person. To stay up to date on times, locations and events, please sign up on our email list! We stay mostly current with event photos and reports on our Facebook page as well. We are a joyful and growing faith community of open and affirming Christians from all backgrounds aged zero to ninety worshiping in the Episcopal tradition. All seekers are welcome any time. 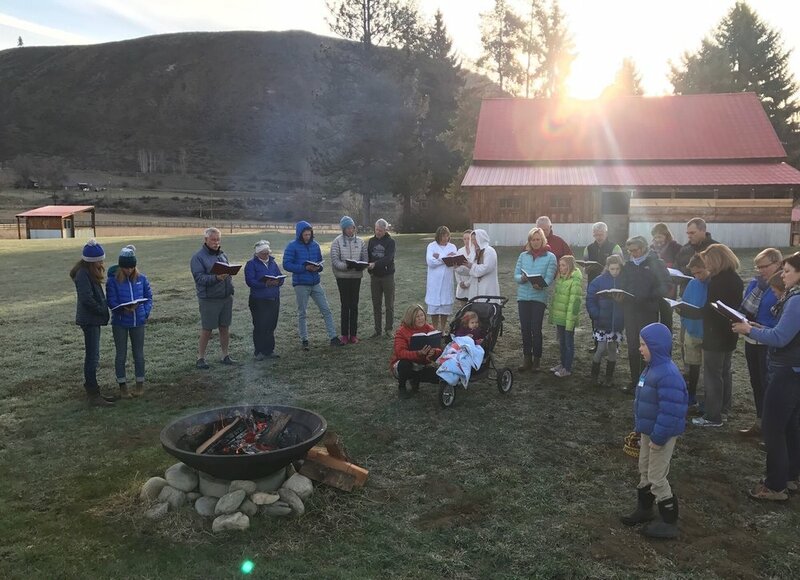 Methow Episcopal began as a small gathering of Methow residents hoping to start a progressive liturgical worship in the Methow Valley. 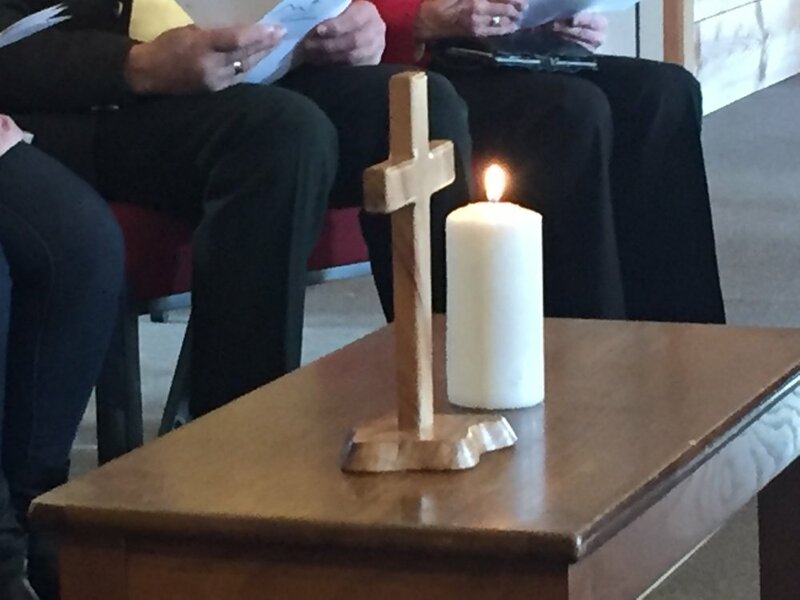 The first service was held on Ash Wednesday 2015 in Mazama using ashes from the Methow Trails fire pit. We are thrilled to be well into our fourth year! 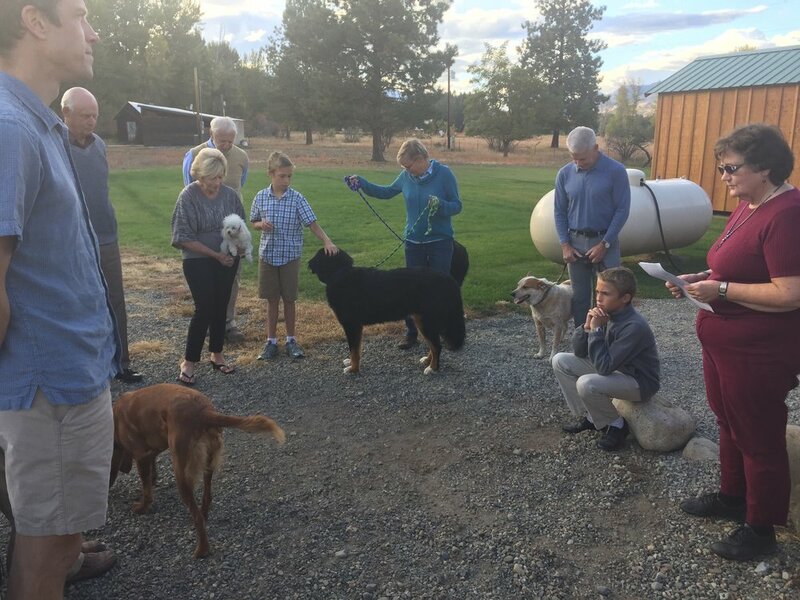 Today, we continue to meet Sundays at 5 PM, and have moved to Winthrop to better accommodate people in Mazama, Winthrop, Twisp, Carlton, and the entire Methow Valley. We are a Bishop's Chapel of the Diocese of Spokane. 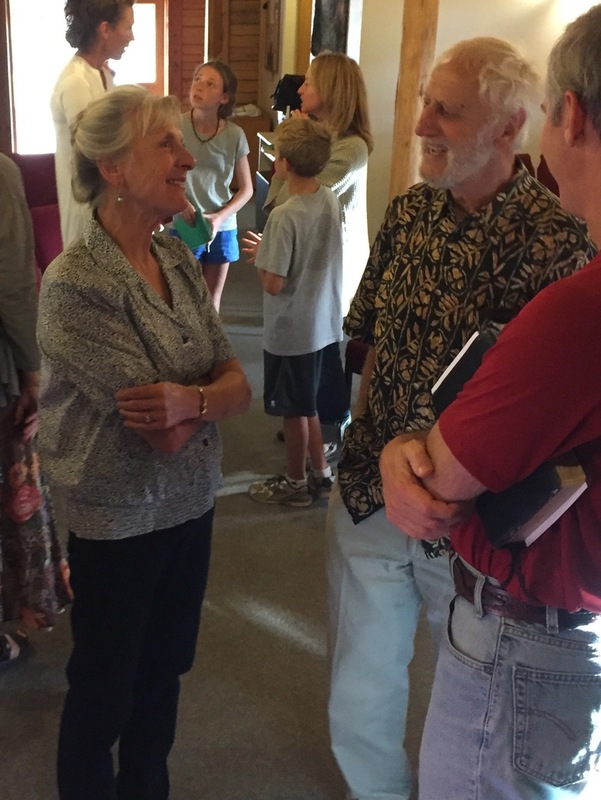 Read a recent article in The Fig Tree about our fellowship here. Please sign up for email and visit our Facebook page to learn about additional fellowship opportunities and other events! "Again I say to you, that if two of you agree on earth about anything that they may ask, it shall be done for them by My Father who is in heaven. 20"For where two or three have gathered together in My name, I am there in their midst." no hands but yours, no feet but yours; yours are the eyes through which Christ's compassion looks out on the world, yours are the feet with which He is to go about doing good and yours are the hands with which He is to bless us now." Services are held every Sunday at 5 PM in the log cabin Friendship Alliance Church located at 809 Highway 20 in Winthrop (unless otherwise noted on the schedule below). 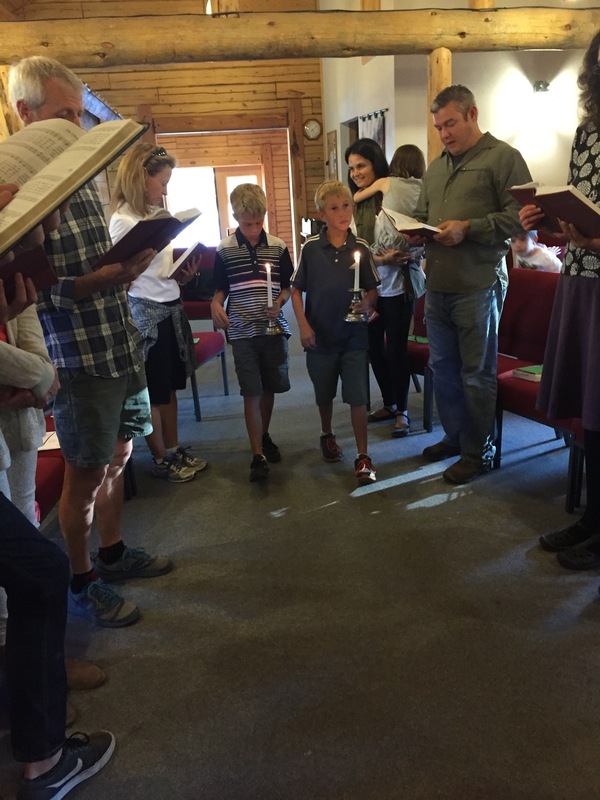 Our liturgy is taken from sources including the Book of Common Prayer, Enriching our Liturgy and the New Zealand Book of Common Prayer. We worship with a mix of traditional and contemporary music, and follow most services with a simple Agape Meal, or, when a priest visits, the Eucharist. View recent photos here. Listen to a recent message here. Please add your name to our weekly email to stay updated with schedule changes and for a preview of upcoming services and readings. We will enter into Lent with a Shrove Tuesday pancake dinner, and begin Lent with Ash Wednesday at 5 PM at the Friendship Alliance Church. Please join us for this journey through Lent. 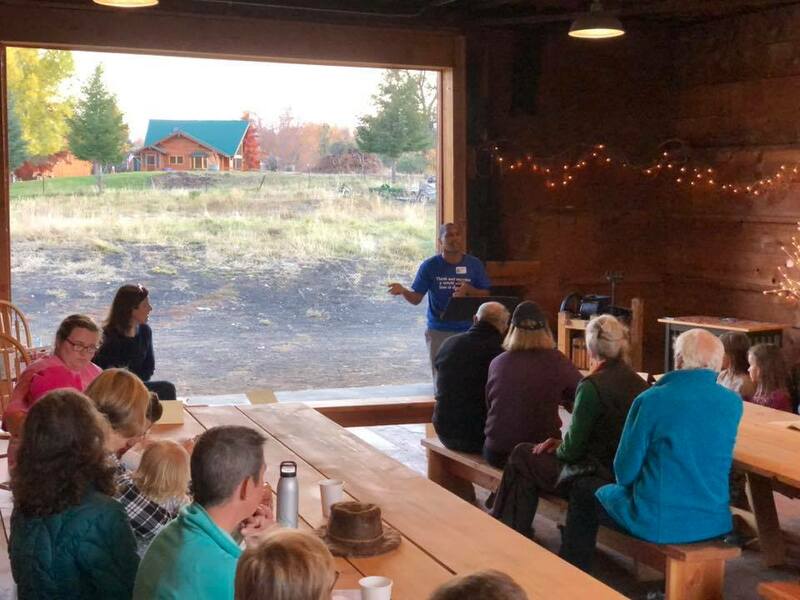 Methow Episcopal is one of 20 fellowships nationwide selected to participate in the Baptized for Life program out of Virginia Theological Seminary. We began our journey the fall of 2018 and can’t wait to see where it will lead! Methow Episcopal Youth Playlist, always evolving! For specific schedule and location details for youth group, please add your name to the weekly email at the bottom of this page. You can also check out additional camps and other youth events for the Diocese here. Elementary aged-children have Sunday School at 4 PM before the services. Lessons are based on scripture and include art and play. We hope to begin to integrate lessons using the Godly Play curriculum and materials soon. Kids work on an art project following a reading of a Wisdom text. Adult Christian Education: what’s new this fall and winter! In our upcoming adult education series, Beth Anderson will introduce an ancient form of prayer called lectio divina and we'll explore its historical and theological foundations. We will deepen the practice of praying with biblical texts over the first three weeks of Advent, and in the new year we’ll broaden the subject of our prayer to engage other “texts,” including art, nature, and music. Dates: December 2, 9, 16 & January 6, 13, 20. Stay tuned for information about a Labyrinth experience this spring. Beth holds a PhD from the Graduate Theological Union in Berkeley, where her dissertation research focused on the connections between Christian spirituality, transformative education, and social action. At the GTU she had the opportunity to teach graduate-level courses at several seminaries within the consortium, and she enjoys teaching about spirituality in both formal and informal educational contexts. Prior to moving to the Bay Area, she worked on outreach and advocacy projects with Earth Ministry in Seattle. Beth and her husband Matt moved back Washington state this fall, and they're excited to be a part of Methow Episcopal. Please join our weekly email to receive details about upcoming services, youth programs, and more. We hope to see you soon! Questions, thoughts or suggestions? Contact info@methowepiscopal.com.